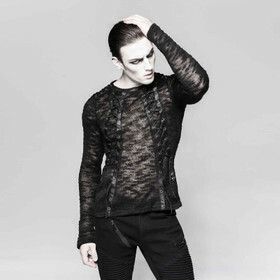 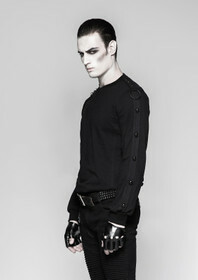 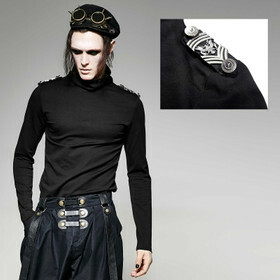 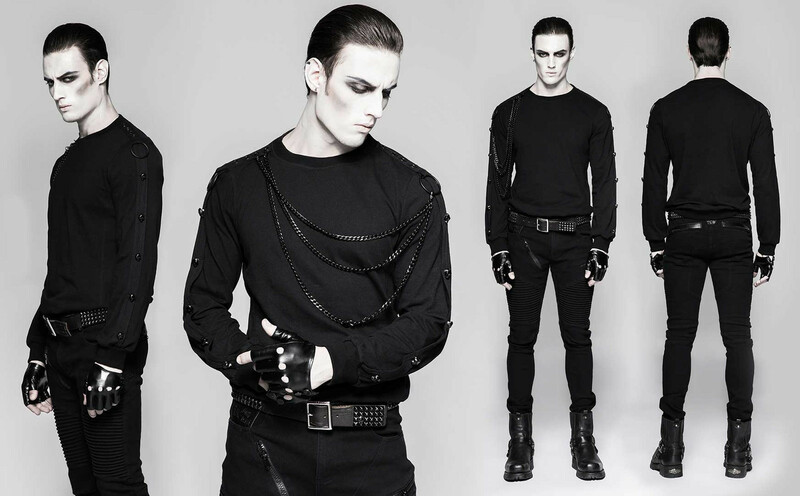 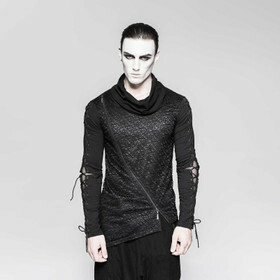 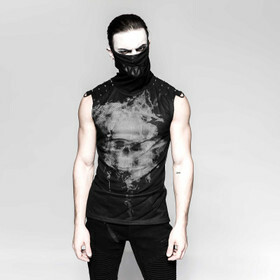 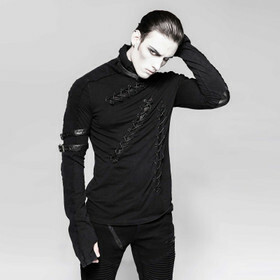 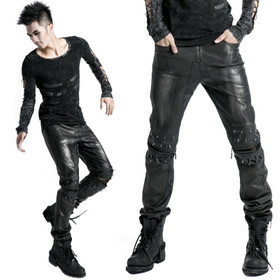 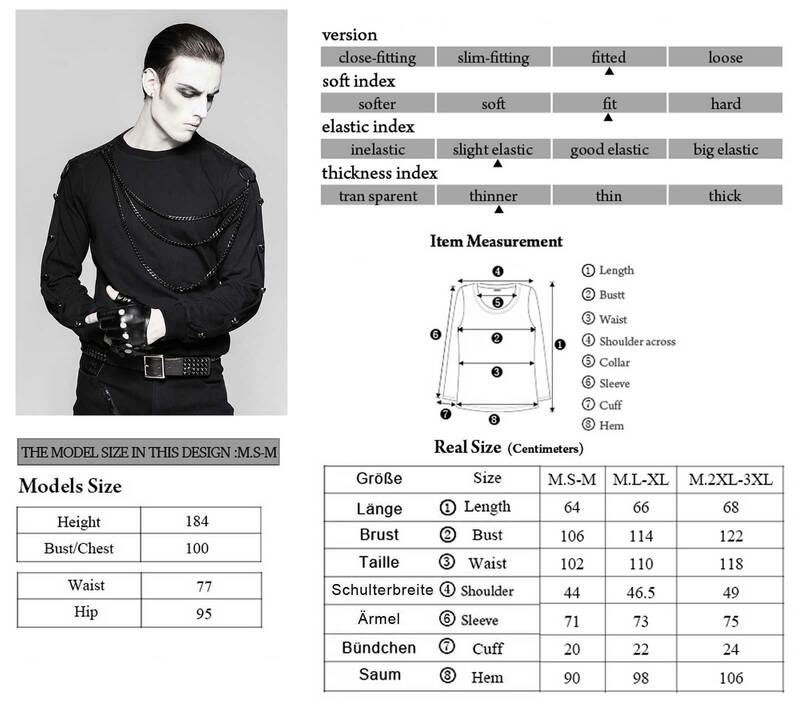 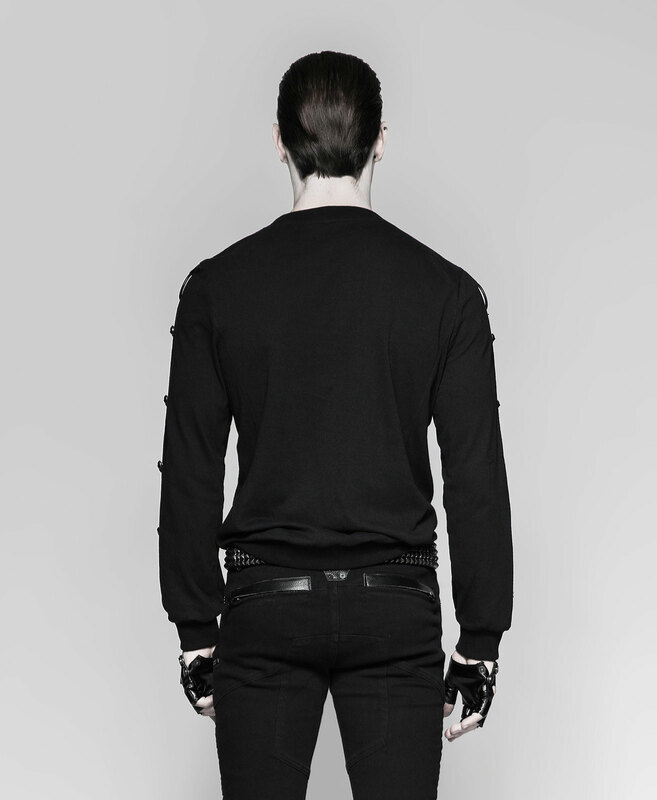 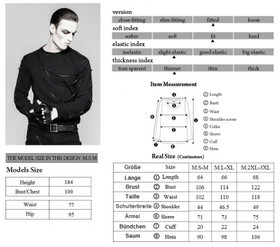 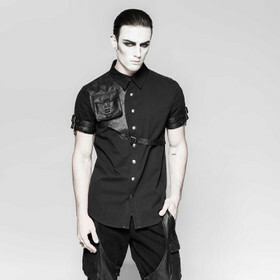 Gothic sweat shirt for men by Punk Rave. 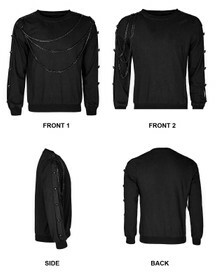 Black cotton jersey with remarkable black chain detail (detachable/adjustable). 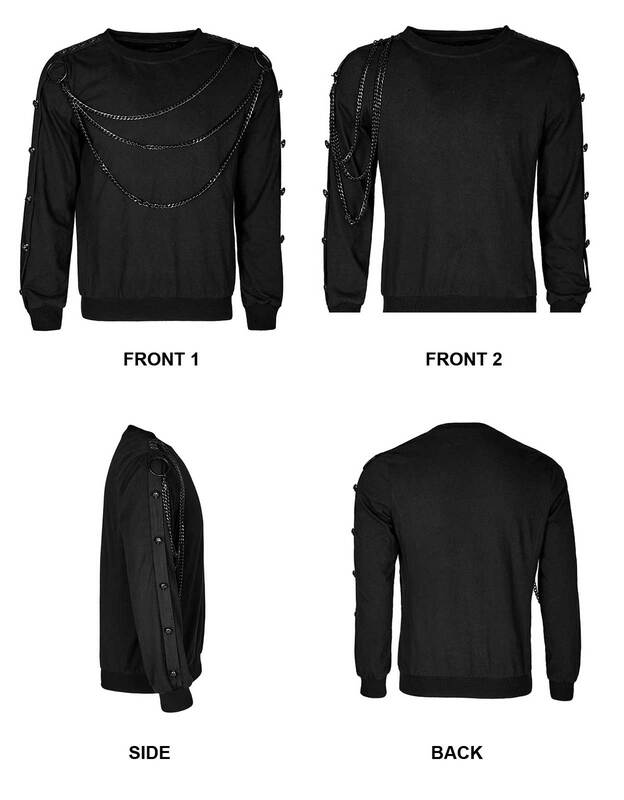 Rivets and skull studs. 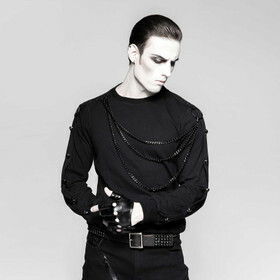 Gothic sweat shirt for men by Punk Rave. 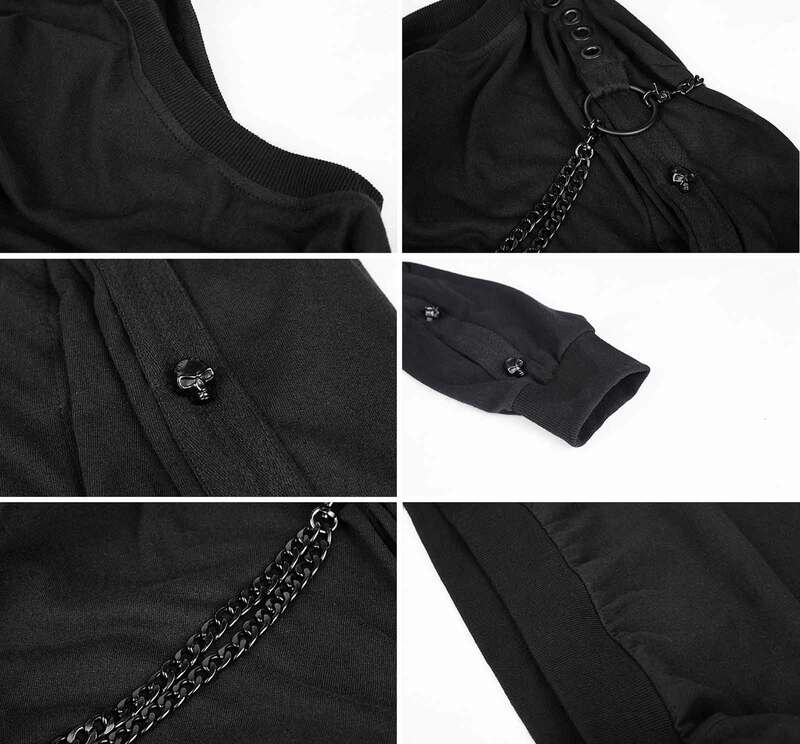 Black cotton jersey with remarkable black chain detail (detachable/adjustable). 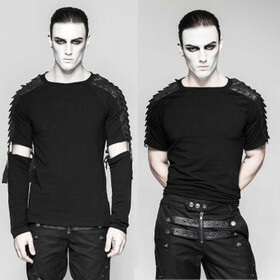 Shoulders and sleeves with rivets and skull studs. Neck and cuffs with rip knit. Punk Rave turns out smaller!